Yesterday our sweet momma ewe, Georgia, had two baby rams. Momma and babies are all doing wonderfully even if it was 9 degrees last night. We are glad the rams are thriving and “boinging” around like lambs do. We have some other ewes that are due to have babies, so we are all anxiously awaiting the new lambs this season. 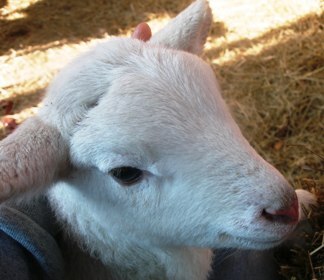 Newborn lambs are so incredibly soft….and cute….